San Juan (Isla Verde) lodging recommendations? First off, after making this post and asking some email questions I have gotten some great feedback from the San Juan PR kite folks I have contacted. If they are as friendly and helpful in person as they are in email, it should be a fun trip. I figured I'd ask this question publically in case anyone has specific travel experience. 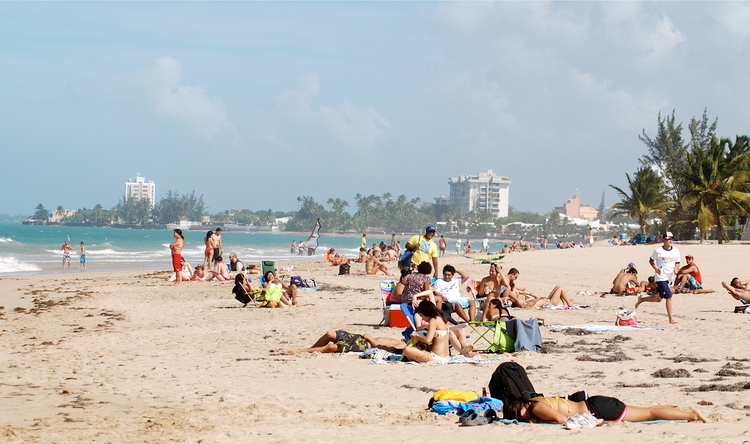 Isla Verde is where we are looking. Traveling the weekend of February 20th. I would like to be close to a kite launch, the wife would like a clean room (clean sheets, no bed bugs, nice room) and some beach front resort amenities (outside bar & beach chairs). You know how it is when traveling with the wife, vs going with the guys who are content with a bed, shower, and a bottle of rum. That said, I'm having trouble finding a lot of good internet information on San Juan. Everything sends me to the same resort websites. I'm looking for any first hand experience on places to stay near San Juan that would keep a beach bound wife and kiting husband happy! Any info you could share would be MUCH appreciated!!! THANK YOU. Also if you have any suggestions on San Juan travel deals to get something lower than the AAA rack rate on lodging. Re: San Juan (Isla Verde) lodging recommendations? Your wife , I'm sure , she will find something to do while you are having fun with your toys !! Thanks, I'll poke around those sites! Always a challenge to bring a wife on a kite trip...or kite on a wife trip! I had heard the water/beaches can be crowded at Ocean Park on weekends. ? 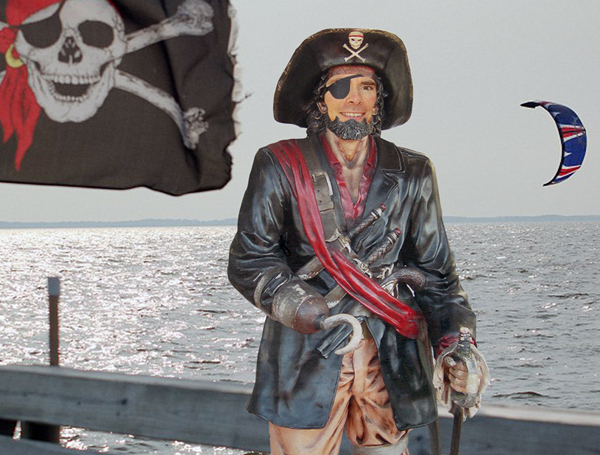 Yes , Ocean Park is the main spot in town with plenty of space and safe launch ! It get a bit crowded during weekends and/or holidays ( usually Sunday ) but there's no problem with that 'cause is just on the shore not on the water !! 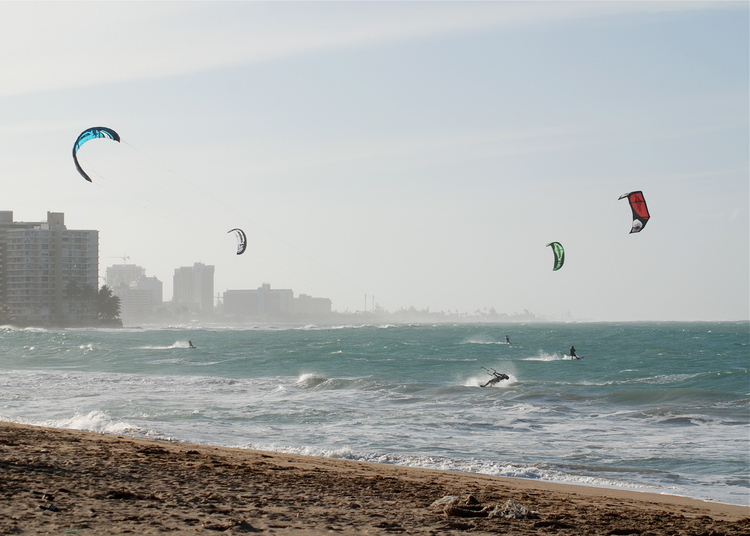 About the wind you already know is better than Isla Verde or Punta las Marias. Do your research and let us know for anything else !!! Kite beach , Ocean Park , PR during a weekend. Careful of some of the hotels right off this beach... some are better the others. Make sure to call the hotel directly and try and find a place that has reviews. Renting a car in San Juan is a good idea and very affordable, so driving a bit isn't a problem. I got a compact through Charlie Car rental for 189 a week, and gas is cheap. Make sure to head down to La Parguera for a day, guy named Luis Mendoza will hook you up. So, I'm using points for a hotel stay this coming week, so I have a choice between staying in Isla Verde or at the La Concha or Marriott in Condado. Should I stay in Isla Verde and kite there, or should I stay down in Condado and be closer to Ocean Park? Also, I could get a rental car with points if need be, if not, I'd just as soon take a cab from the airport and the bus or walk everywhere else. So, between those two areas which is better for food and close access to kiting. AdamJ, I was only there once but had a nice trip. We stayed in Ocean Park and liked being able to kite right from our beach. 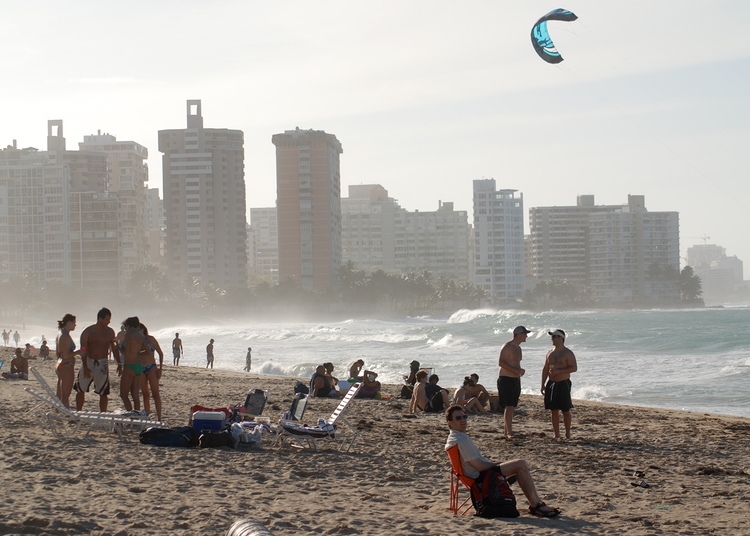 I think on Isla Verde you can't kite in front of any of the hotels as they are all swim areas. You have to walk/cab to the cemetery and kite there, and there is also a public park at the opposite end that I think allows you to kite. (ask the locals). Only downside for me was at Ocean Park it was mostly chop, but I still had fun riding in close. There was a fun shore break area to play in but it got crowded with swimmers on the weekends. There was also a reef break a couple miles out. I was kiting solo most of the time so didn't venture that far out. Looked nice, though. Hook up with one of the local schools and have them take you to some prime wave or flatwater spots that suit your tastes. Cabs were expensive. Cost us $20 to get into Old San Juan, each way. If you have points for a rental car, I'd use them. It'd be nice to have and would give your more flexibility to hit different spots.